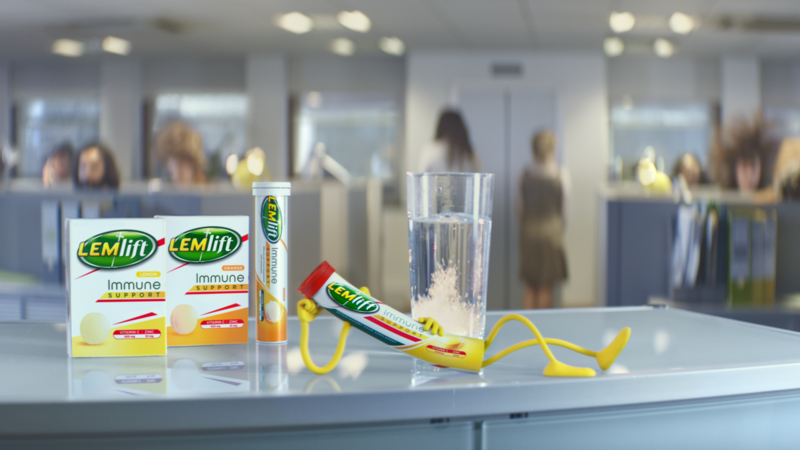 Health giant Reckitt Benckiser have released Lemlift, a dissolvable supplement designed to support the immune system with Vitamin C and Zinc. With the dog days of summer far behind us and the cold, wet and blustery commutes of winter ever encroaching, Lemlift’s debut ad, ‘Winter Look’, features a vibrant character animation, fully intent on combatting winter misery. Whilst these characters add an all-too-real humour to the spot, the hero cast member is prominent: an animated Lemlift pack complete with arms, legs and an upbeat personality. 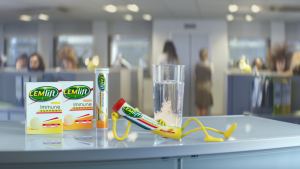 Designed in a collaboration between post-production companies Big Buoy and Smoke & Mirrors, we see the character bound energetically about the scene, offering vitamin C goodness to an office caught in ‘rain, wind, or perhaps even snow’, as the general mood seems uplift. With the long days of summer well and truly behind us and winter fast approaching, Lemlift provides us with the vitamins we need to keep our health in check.